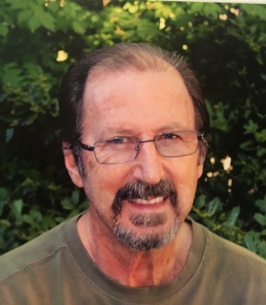 George Edward Coursey, age 74, of Bella Vista, Arkansas, passed from this life August 2, 2018 at his home. He was born February 11, 1944 in Camp White, Oregon to Henry and Betty (Marlow) Coursey. George was a veteran of the United States Army. Survivors include his wife, Joyce (Fletcher) Coursey; his son, James M. Coursey (Mistie); his daughters, Michelle Watkins(Quarta) and Michelle Gillespie;his brother, Richard Coursey (Jackie); and his sisters, Patricia Hinds and Linda Johnson (Bill); his six grandchildren, Indigo and Iliyah Watkins, Dree and Denny Coursey, Zachary and Chase Doster; three great-grandchildren, Chloe, Caden and Landon Doster; as well as many nieces and nephews. A graveside service will be 1:00 p.m., Monday, August 6, 2018 at Fayetteville National Cemetery. Military honors will be by the United States Army Honor Guard. To send flowers to the family of George Coursey, please visit our Heartfelt Sympathies Store. George and Joyce impacted my life from the moment I met them at church. George always had a joke to make and a hug to give. Up until the last days, he still joked and loved to make others laugh. Joyce is a pillar of strength and together, George and Joyce are both an inspiration for us in that their faith in the Lord never wavered even when going through the trial of George's sickness. I love them both. I miss George and will miss his hugs, but I am thankful to know He is now eternally alive with the Lord and that one day we will get to hug again. May George Coursey live forever in God's creation.